A guide to describe QR codes and how they can be used. 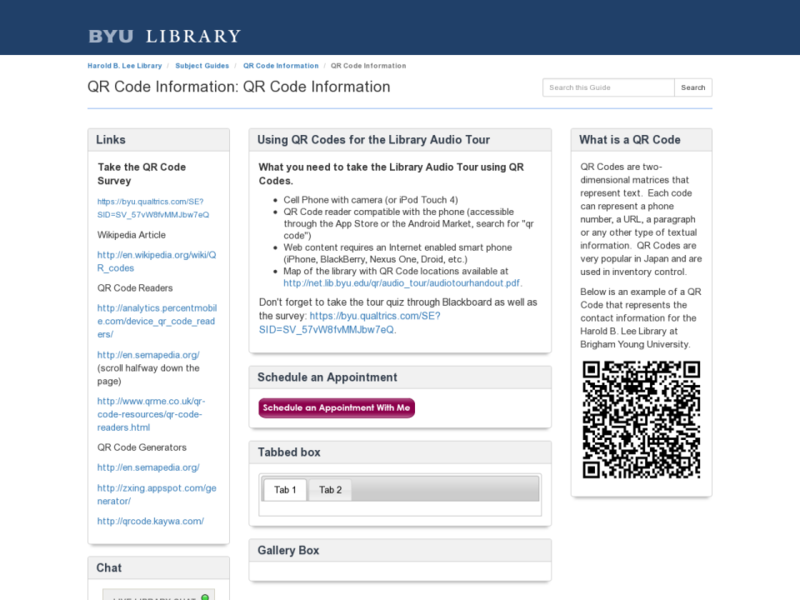 What you need to take the Library Audio Tour using QR Codes. 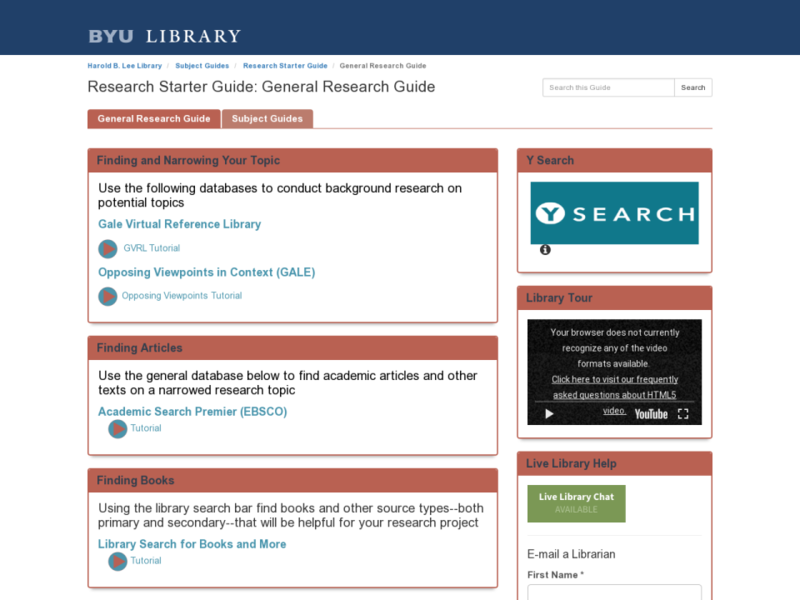 Map of the library with QR Code locations available at http://net.lib.byu.edu/qr/audio_tour/audiotourhandout.pdf. 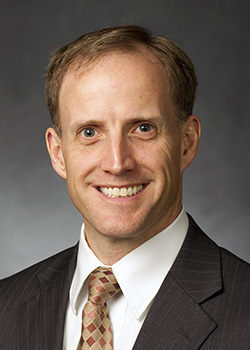 Don't forget to take the tour quiz through Blackboard as well as the survey: https://byu.qualtrics.com/SE?SID=SV_57vW8fvMMJbw7eQ. QR Codes are two-dimensional matrices that represent text. Each code can represent a phone number, a URL, a paragraph or any other type of textual information. QR Codes are very popular in Japan and are used in inventory control. Below is an example of a QR Code that represents the contact information for the Harold B. Lee Library at Brigham Young University.